Tags are versatile and you will find yourself using them for many functions. 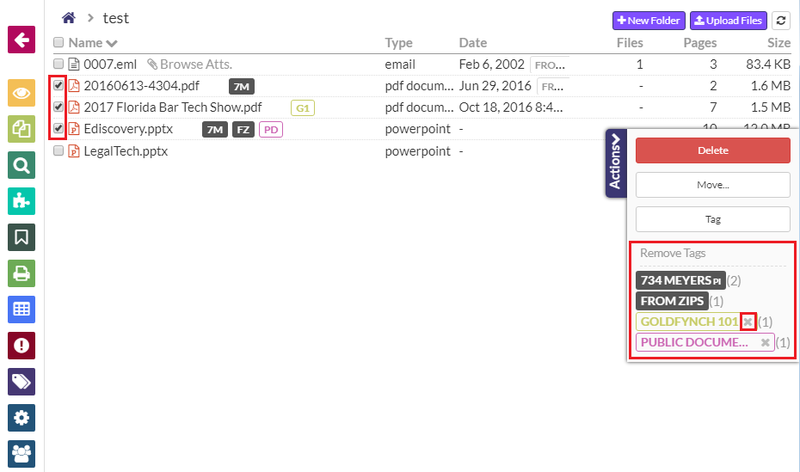 They are primarily applied to files through the ‘Apply tag’ screen, which is accessed from a number of pages, including the ‘Files’ view, the ‘Search’ view and the Docs view. Below is a breakdown of the ‘Apply tag’ screen, as well as how to access it. 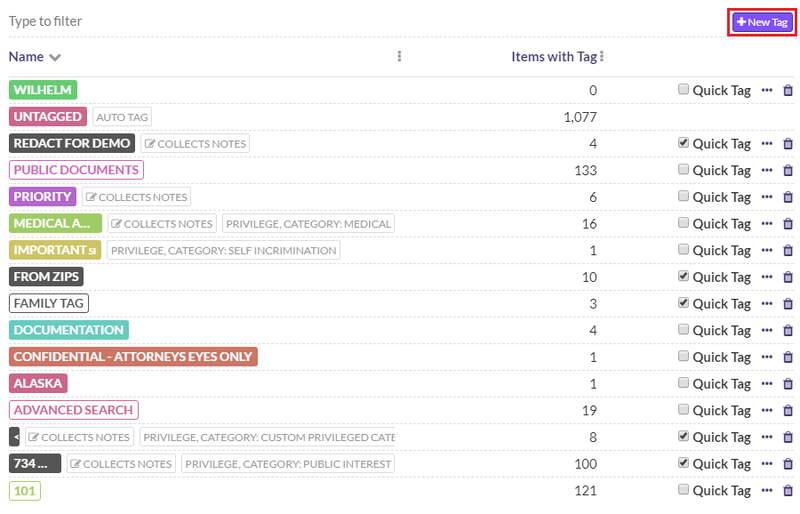 There is a brief status screen displayed to track progress of the tag assigning process. 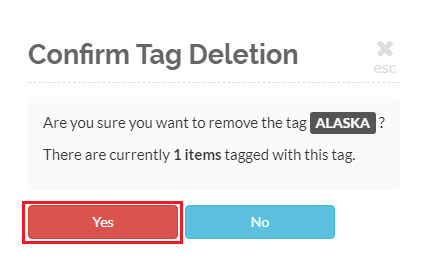 After this, the assigned tags view will close automatically. 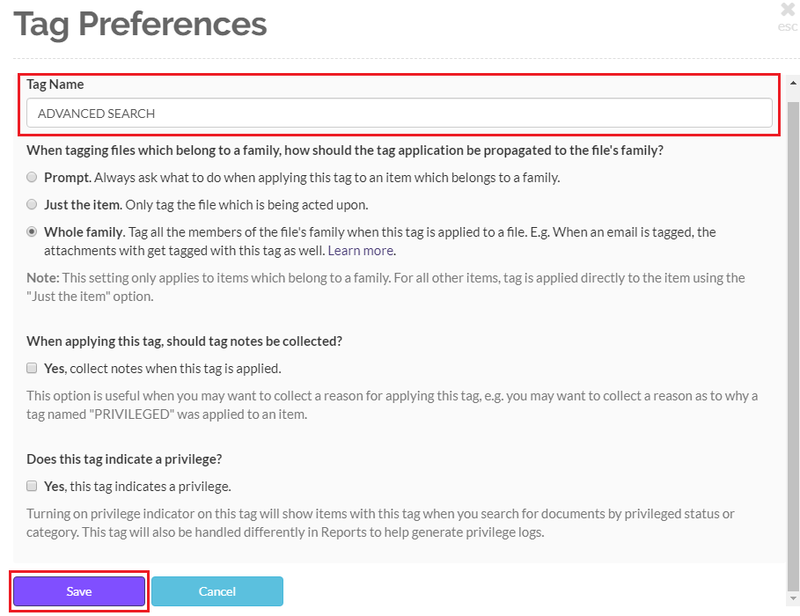 If you would like to apply more than one tag at a time, check the ‘Sticky Tagging’ box on the ‘Apply tag’ screen. 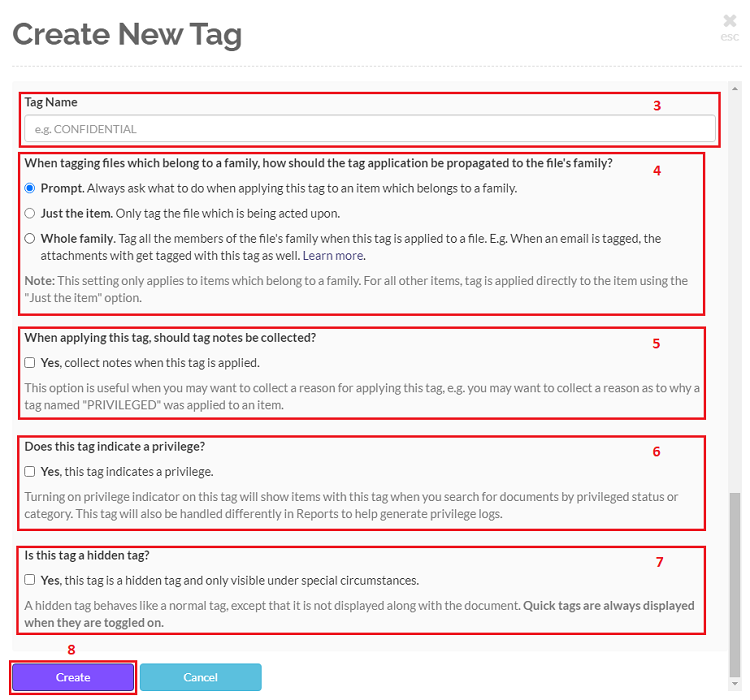 This will prevent the ‘Apply tag’ screen from closing after a tag is applied, and will instead list all of the tags that have been selected to be added. 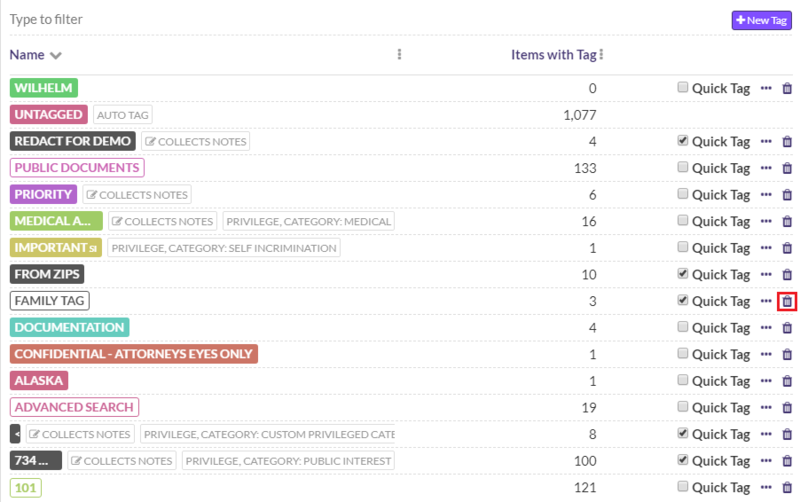 Click on the ‘Apply’ button to add all the remaining selected tags and return to the previous view. 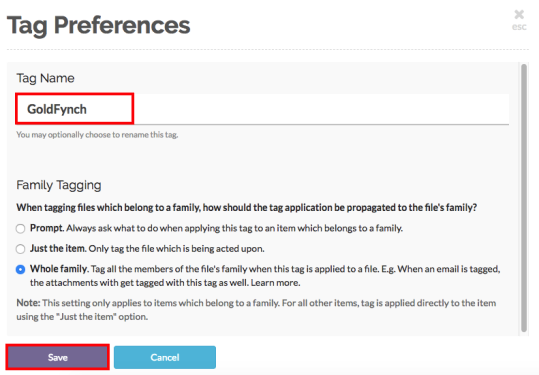 When you apply a tag, GoldFynch will check whether you want to extend the tag to the file’s family and will let you set your choice as the file’s default behavior if you wish to. Find out more about tagging families of files here. 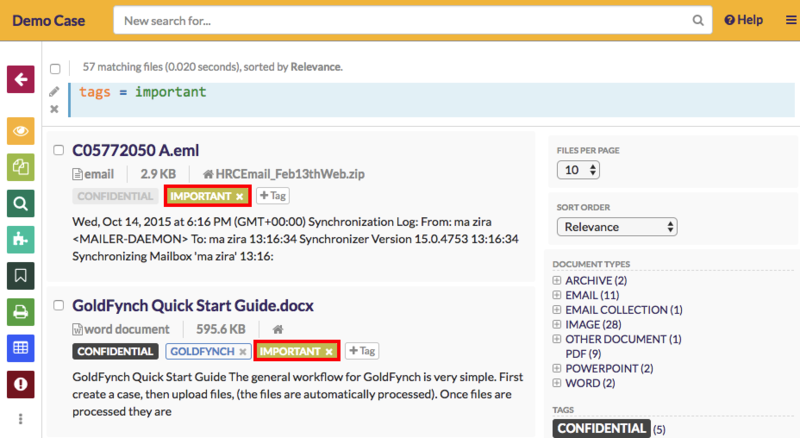 You can use the ‘Files’ view, as well as GoldFynch’s search system to tag files in bulk. Find out how to in the first part of this solution. 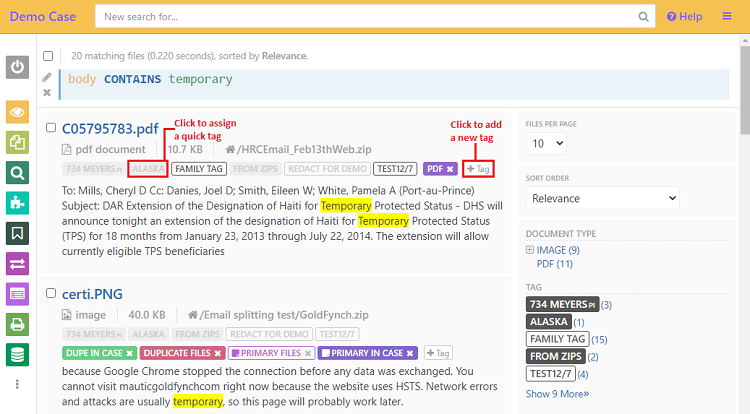 You can also tag search results in bulk. Find out how to in the second part of this solution.